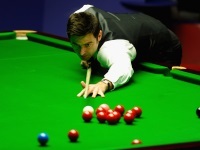 Robertson N. - Lisowski J.
Robertson N. - Brecel L.
McManus A. - Brecel L.
McManus A. - McGill A.
Xiwen M. - Robertson N.
Day R. - Craigie S.
Zhou Y. - Li H.